Building things has been part of Duran since childhood. For him, it is easy to imagine something and bring it to reality; anything needed can be built. At only 6 years old his family needed a storage base and with basic tools, he put it together and lasted for 20 years. With less than 10 years old he built a 200 egg incubator with an electronic thermostat. He later built a water reserve system, loud sound speakers, metal structures for a second floor room, and by the age of 18 he had even built an entire motorcycle on his own. He was previously involved in Real Estate full property remodeling. He also owned, rebuilt and operated a glass and mirror factory. He additionally built a 6,000 square feet commercial interior building, with a capacity of up to 350 people. The building included a cafeteria, public bathrooms, an audio and video system, a fire alarm systems, a stage, several entertaining rooms, 3-24 tons A/C units, offices and more. At the same time, he invested thousands of dollars on seminars for effective remodeling systems, hundreds of hours on design programs, meeting with every possible company and vendors for the latest in technology and products, and constantly searching for the last trends and ideas. And Duran takes the time, and even more than that, he enjoys explaining to every single member of this company the technical aspects and how things work on the back end. Transferring information from years of experiences because “knowing what you’re talking about it’s the best-selling tool”, he says. His second most important aspect in the remodeling industry to produce customer satisfaction, is “control” to provide an on-time, finished and quality product. Because of his “Type A” personality, organization and order are a must. As founder of Fresh, the most important vision that he was able to cast for our company is “processes and organization.” In construction, this is key. From the in-home consultation to the final cleaning appointment, we have a step by step system so we can show in writing what is coming next. This gives assurance to our customers and a guideline for our team to work with confidence and efficiency. Many years ago he came up with the company slogan “Every Detail Counts.” He teaches that no one can see into the projects more than us, we are the professionals that know how a faucet works, to how to apply caulking. Details will show how much we care, and in order to receive a happy customer’s compliment, we need to follow three mayor rules: we want the customer to feel amazed by the finished design, we need to turn the space into a better functional area, and we have to work around the numbers for the customer to stay within budget. From a young age, Andrea had always gravitated to art and design. Whether it be rearranging furniture or sketching her “Dream Homes” Andrea was always creating. While in school, earning her degree in architecture, she worked for an Interior Design firm that helped blend architecture, construction aspects and the softer textures and colors of interior design. Later, working as a freelancer in the real state market, Andrea made a name for herself designing and remodeling homes for re-sale resulting in multiple offers and quick sales. One of the most creative projects she had the opportunity to work on designing and building a church building from scratch. The opportunity to explore with colors and materials, and to design all its different rooms, coffee shop, lobby, entertainment room, and children’s classrooms solidified her love for design. Now, years later, at Fresh Remodel Andrea is able to bring her experience’s to guide clients along the sometimes overwhelming process of remodeling. She enjoys getting all the information from our design surveys, selecting products that are the right fit for clients lifestyles and budgets, and educating them on the different choices of materials. She gets no greater feeling than seeing the final product come together. 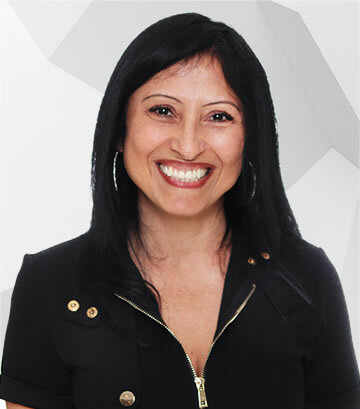 With over 14 years experience in the field, keeping up with design demands, constant education and keeping up with trends Andrea’s expertise speaks for itself. Her insatiable love of discovery, learning and research promises great thing for her future as well as Fresh Remodel. 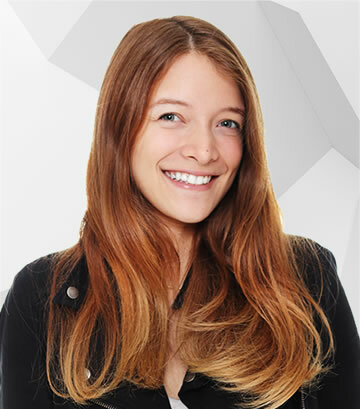 Claudia Iglesias comes from a strong construction background and holds a Bachelor of Science degree from the Art Institute of Fort Lauderdale in Interior Design. She takes pride in her ability to transform spaces by bringing ideas and inspirations to life. Claudia is adept at finding creative ways creative ways to help budget-conscious clients design the spaces of their dreams. Claudia began her work in the kitchen and bath field with an internship while in college and hasn’t looked back since. Her detail-oriented, client-focused approach made her a perfect fit for the Fresh Remodel team. Flexible and fun to work with Claudia strives to match each and every job to the needs and vision of her clients. With experience in both traditional and contemporary interiors, Claudia is able to translate any style to satisfy the desires of an assortment of different clients. Outside of design, she enjoys exercising, live music, museums, and enjoying nature. 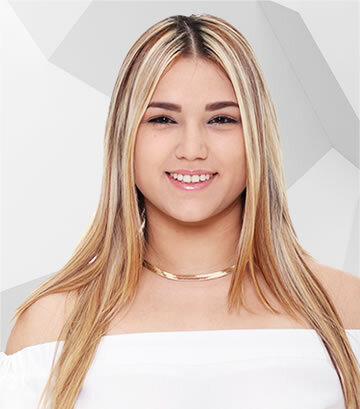 Dayana has been in love with art and design since the day she picked up her first crayon at an early age. Growing up she was a very imaginative and inventive child, always sketching and drawing every chance she had. She later graduated to the most creative and detailed school projects in every class. At this early stage of life, Dayana definitely knew she wanted to apply that in a future career and create on a bigger scale. Before devoting herself to working full time as an Interior Designer for Fresh, Dayana worked in the fashion industry as personal shopper. Before long she realized that a change was needed to a more hands on, creative field. Here she could express herself and make thought’s come to life. After making the move in 2012 to a small company, and getting instant gratification and praise from others for her designs, she was hooked. In 2013 the opportunity arose to join the Fresh Remodel team where she was mentored by the owner himself. 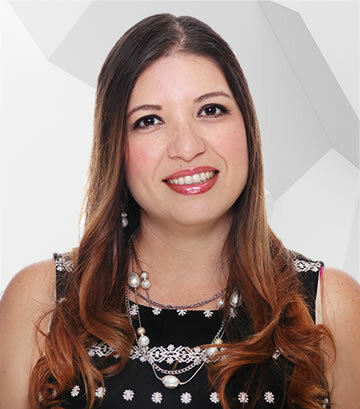 Now, four years later, being the Senior Designer at the Pembroke Pines location has given Dayana the tools and opportunity to excel in helping each client with their remodeling needs, from the simplest to the most complex. When taking on a client’s thoughts and desires, Dayana’s main focus as a designer is the balance between design and functionality to create a strong, lasting and remarkable personal space for anyone from the minimalist to the extravagant. Through each experience she challenges herself to explore every project and deliver on the customers vision. Helping step by step throughout the process while also possessing the ability to answer design questions and provide imaginative and honest solutions when issues or concerns arise. Her goal is to equip every client with the knowledge and awareness they need and want. Being a designer permits Dayana to develop long lasting relationships, whether it is with clients or vendors. In her opinion the love of an ever evolving field where work is rooted in research and learning is the key to successfully building a name that clients return to. 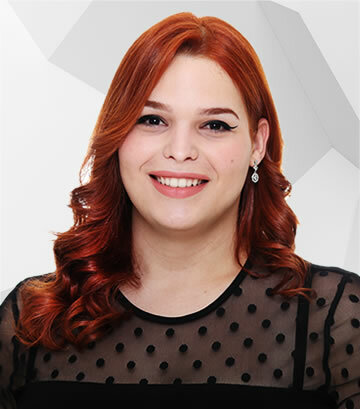 Dayana has embraced her opportunity to do the work she loves in an industry that offers endless opportunities. The idea of being a good designer is what wakes her up in the morning and she believes design is the cure to all the worlds problems. A love of life and an appreciation of the small things drive Jaime on a day-to-day basis. An early love for sketching and gardening helped guide him to the home design business that he feels blessed to be a part of. The look a satisfied customer is one of his greatest joys. From an early age Jaime assisted his father on construction projects and later pursued and received a degree in architecture. Post graduation, he immersed himself in the design and renovation industry where he has enjoyed a career dating back to 1987. He has held positions ranging from site contracting and surveying, to studio design and project management. 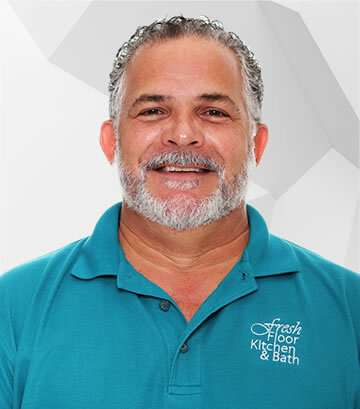 Jaime believes his greatest professional asset is his ability to immerse himself into each and every job in order to better understand his customer’s décor, color and lifestyle preferences. A strong understanding of space and function helps Jaime to envision a completed job and his attention to detail ensures its timely completion. 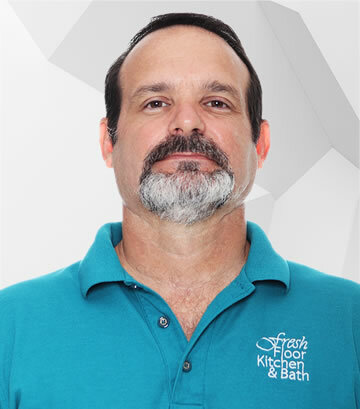 With an emphasis on continuing education in the field Jaime ensure that he and the rest of the Fresh Remodel team are always staying at the forefront of their field. Knowledge of growing trends, new brands, and evolving ideas are the cornerstones oh his professional approach. While a selfdescribed perfectionist, Jaime is not afraid of criticism and welcomes any and all input from his customers. We are a General Contracting Company, family owned and operated since 1996. What makes us unique in our industry is that we specialize in assisting our clients in finding the balance between quality, management control and an average budget. If in an effort to comply with your needs if we find a conflict between these rules you’ll definitely be the first one to know! these issues with you on your Remodeling Project(s).